Here at Heart Pounding Performance we always do what’s best for the customer. We take into consideration your needs and we explain what we are doing to your car and why, so you know what work is being performed. Restorations: From the ground up to mild fixes, Heart Pounding Performance has the know how to fully restore your classic or muscle car. Our staff has the experience to put your car back to original, or better. 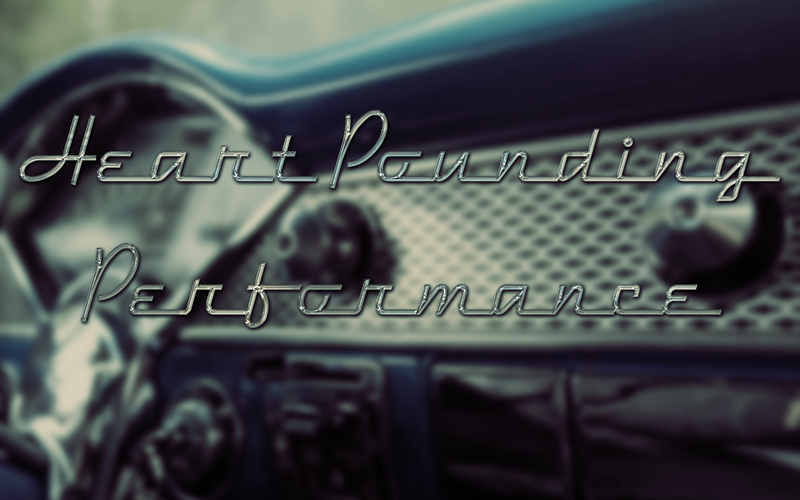 High Performance Automotive: Whether you want a street rod or race car, Heart Pounding Performance has you covered. We can modify and upgrade anything from headlights to tail lights and everything in between. Custom Engines: We cover engines from performance and classics to modern stock applications. Does your engine need freshening up or a complete overhaul, just stop by and speak with our expert staff to see what’s best for you. Custom Paint: Do you want your car to stand out at the shows? How about an original paint job, from full body paint to custom artwork and airbrushing. Come speak to one of our painters or artists to get some ideas of what we can do for you.